Have you wondered about the causes or prevention of cancer? Do you want to know how others have cured cancer without chemo and radiation? 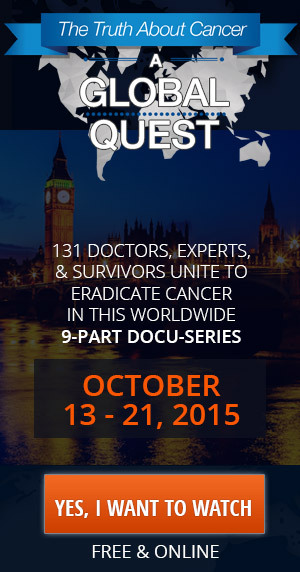 If so, this new docu-series “The Truth About Cancer – A Global Quest” by Ty Bollinger is one you don’t want to miss. I have been able to watch through Episode 3 and I am so glad I have taken the time to understand how cancer works, the causes, the myths, the root and all the many ways we can help our bodies fight and prevent cancer from invading our bodies. *Each episode is packed full of new and amazing information, survivor stories and much more in our pursuit to find a cure and eradicate cancer… once and for all. This is a great blog. I loved the way you describe that, Thank you so much for putting really very helpful information. Keep Sharing.